A Biographical Companion to "Common Worship"
Saints on Earth: A Biographical Companion to "Common Worship"
Combining a stimulating mix of history and biography, Saints on Earth gives detailed information about the people commemorated in the Common Worship calendar of Holy Days - a calendar greatly expanded from those contained in the Book of Common Prayer and the Alternative Service Book. This wide-ranging selection of spiritually significant men and women features Celtic and Catholic saints, Reformers, Tractarians, bishops and missionaries together with poets, writers, martyrs, social reformers, kings and queens. Recent heroes and heroines of faith, both Anglican and from other Christian traditions, are celebrated alongside those who inspired the Early Church. The accompanying free CD-ROM includes a module compatible with Visual Liturgy 4.0; this links each biography electronically to its allocated Holy Day, allowing users to access that day's information at the click of a button. The CD-ROM also contains searchable PDF files of the Saints on Earth material. This versatile companion is a rich source of inspiration for preaching and leading prayers and worship throughout the year. It is also a valuable resource for teachers in Church schools. 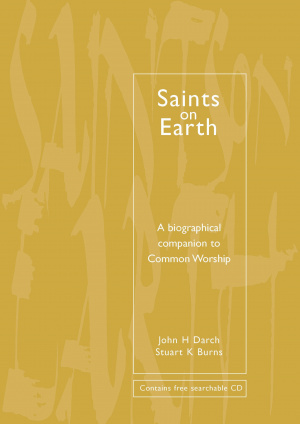 Saints on Earth: A Biographical Companion to "Common Worship" by John H. Darch;Stuart K. Burns was published by Church House in October 2004 and is our 8240th best seller. 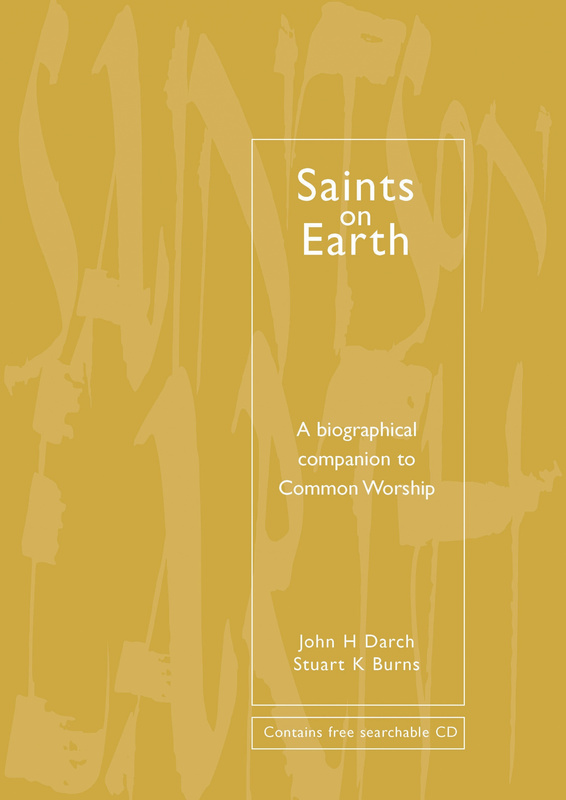 The ISBN for Saints on Earth: A Biographical Companion to "Common Worship" is 9780715140369. Reviews of Saints on Earth: A Biographical Companion to "Common Worship"
Saints on Earth does what it says on the cover! The Common Worship calendar gives provision for no less than 214 saints to be remembered during the year – but who are they? Of course some of them are well known, at least by name, but many others are unfamiliar to us. Who for example knows of Macrina, July 19th? She was eldest of 10 children and among her brothers were Gregory of Nyssa and Basil of Caesarea. This helpful book gives roughly a page to each saint – when they lived, why they are remembered etc.– and sometimes includes a prayer or a verse of one of their hymns. Archbishop Laud’s prayer on going to the scaffold, January 10th, is particularly poignant. The book is packaged with a searchable CD, compatible with Visual Liturgy, so information can be printed on pew sheets or in magazines. The book is particularly useful for those observing the saints days in their daily office of for those churches with a daily Eucharist. Highly recommended. Got a question? No problem! Just click here to ask us about Saints on Earth: A Biographical Companion to "Common Worship". Details for Saints on Earth: A Biographical Companion to "Common Worship"